According to the Diagnostic and Statistical Manual of Mental Disorders, Fourth Edition (DSM-IV), criteria for this disorder require one of two patterns of symptoms: inattention or hyperactivity/impulsivity, as delineated below. Currently, three subtypes of attention-deficit hyperactivity disorder (ADHD) are recognized: (1) primarily inattentive, (2) primarily hyperactive/impulsive, and (3) combined type. The inattentive subtype consists of individuals who exhibit inattentive behaviors but not hyperactive or impulsive behaviors. The hyperactive/impulsive subtype consists of the presence of hyperactive and impulsive features, without inattentive behaviors. The combined subtype presents with inattention and hyperactivity/impulsivity. American Academy of Pediatrics and National Initiative for Children’s Healthcare Quality (2002). 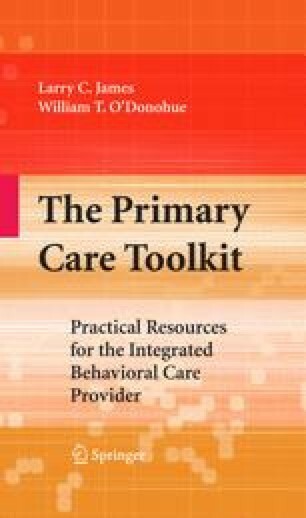 Caring for children with ADHD: A resource toolkit for clinicians. Elk Grove, IL. Accessed on from: http://www.nichq.org/NICHQ/Topics/ChronicConditions/ADHD/Tools/ADHD.htm on November 14, 2007. Centers for Disease Control and Prevention (2007). ADHD: A public health perspective conference. Accessed from http://www.cdc.gov/ncbddd/adhd/dadphra.htm#social on November 5, 2007.